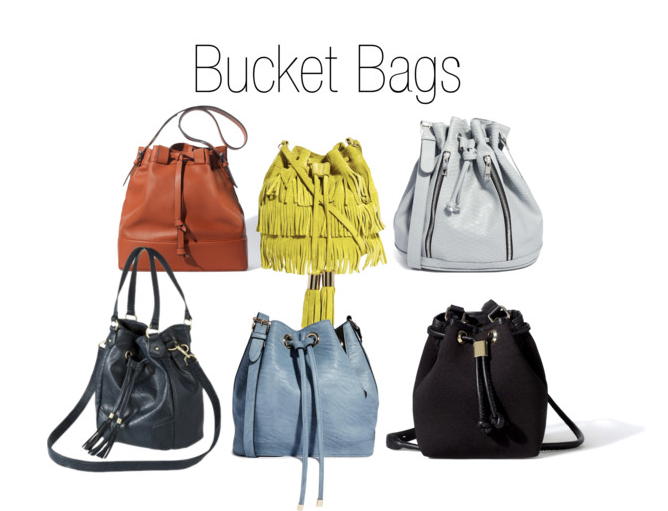 I must confess I have been coveting bucket bags lately, I don’t know why but I just find them so cool and yet incredibly practical. I mean hello bucket is in the name and what doesn’t a bucket hold! Now bucket bags are nothing new to fashion, they always come in and out of fashion and always come back a little more refined or reminiscent of the times. With an upcoming vacation of mine on the horizon I was looking to pick up a bag that I could throw all the essentials I needed for a day into and yet something that I didn’t mind being banged around. Unfortunately all of the bags I seemed to have gravitated to were really out of the budget I had set for myself. I tend to not like to spend a lot on items that are more in trend and something that may not be around for a while. So after what seems like weeks worth of searching I decided to share some of my favorite finds with all of you (or the ones who share the love of this bag as much as I do)! And the best part is that they are all under $100! Hope you all enjoy!! !